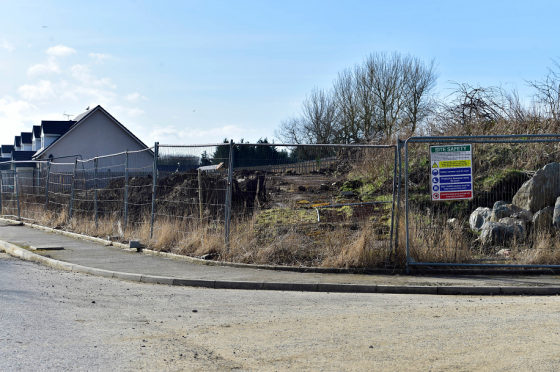 Councillors have been asked to reject plans to expand a housing development on the site of a former north-east hospital. The developer behind the Ladysbridge Village project has applied to build a further 15 homes at Boyndie near Banff. The scheme would take the total number of houses built or under construction at the former Ladysbridge Hospital to 90. Members of the Banff and Buchan area committee will debate the proposals when they meet this morning[TUESDAY] after councillors Mike Roy, Glen Reynolds and John Cox raised concerns. The application for planning permission lodged by Ladysbridge Village Ltd has sparked two local objections. The main issue raised by local councillors and residents is that by expanding the existing housing scheme the developers will take away green space originally included in their plans. In a report to councillors, council infrastructure chief Stephen Archer recommends members refuse the application on the grounds it is an “unacceptable reduction” in the open space which was initially earmarked on the site. He said: “It is deemed that the proposal does not comply with all of our policies and is therefore recommended for refusal. The original deal to build the project set aside 40% of the land for community space but if this latest application to expand the scheme were approved the space would be slashed to 32%. He added that the way the new houses are laid out will add a new “informal” green space to the overall scheme.